2014 Hyundai i30 Wagon Testimonial — Auto Expert by John Cadogan - save thousands on your next new car! I don't expect you to remember, however you did ring me back one morning (I was on the shores of Balmoral at the time) in reply to my emailed query re selling my Peugeot 308 and moving "up" to a Holden Cruze, VW Golf or Hyundai i30. You might remember that it also had to fit into our unit's garage with a kayak on top. The car has great boot space, has so much more power (diesel), is super comfortable, has all the cameras/bells and whistles for parking - the space is tight - great visibility and great comfort for both driver and passenger. Hi Debbie, Yes - I remember our chat. 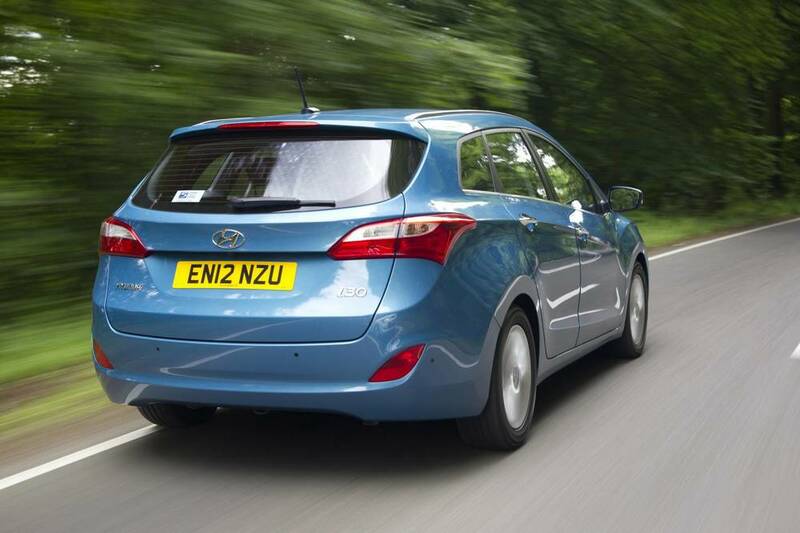 The i30 is certainly a good choice. The Holden Cruze is the worst kind of lemon, so I'm very happy you didn't sign up for that particular disaster. More on Holden Cruze's litany of quality issues here. And I'm not at all sure that Volkswagen has cured its quality problems - nor has its dealer network done an about-face on customer service. If you've got a problem with a Volkswagen, the default attitude still seems to be: "Yeah? What do you want me to do about it?" More on the Volkswagen fiasco here. The i30 has a solid reputation for quality and value for money. I'm glad you're happy with it. The diesel, in particular, is great. The wagon in particular is brilliantly packaged. Thanks very much for taking the time to get back to me. And best of luck with the car (and the kayaking). To purchase a Hyundai i30 Tourer (or any other car) at the best possible price, fill in my contact form in the sidebar on the right hand side of this page. A reputable car broker can tender the purchase of your next car out to dozens of dealers inside 24 hours, and return to you with the best possible price. The broker can also advise on finance, and tender out the trade-in of your old car to the wholesale market, returning again with the best possible price. For more information, contact me here. Should I Buy a Volkswagen Passat?